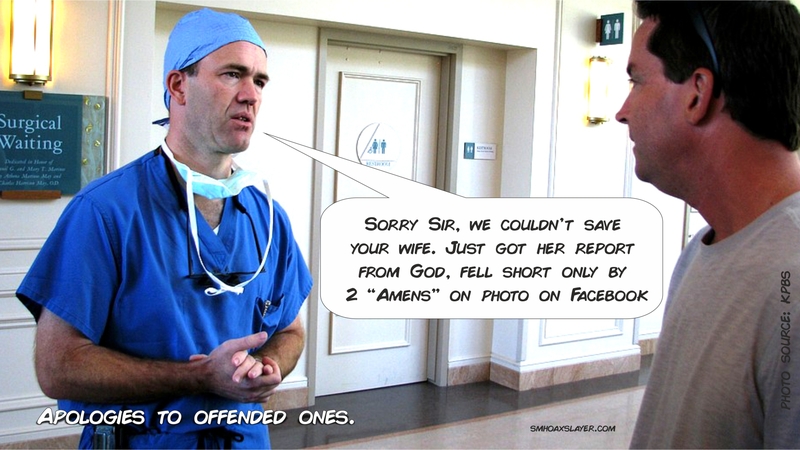 One of the ways to misuse your faith for popularity of a page. “Sorry Sir, We could not save your wife. PS: No offense to anyone. Mostly Facebook Pages do this for gaining popularity and earning. People with religious faith fall for it. The Number of comments “Amen” goes in hundreds with Shares of the post. 1like=1prayer 1amen=1£ share maximum. If this poor child gets 1million likes she could be healed. Share if you care.